The city's definitive “Breakfast Room,” our signature restaurant offers a full a la carte breakfast and weekend brunch in the storybook setting of the historic Villard Mansion. Savor New American cuisine served graciously against the backdrop of one of the city’s most glamorous settings. In the afternoon, the VILLARD Gold Room Bar is one of the city’s favorite Midtown East hotels for handcrafted cocktails and wines by the glass. 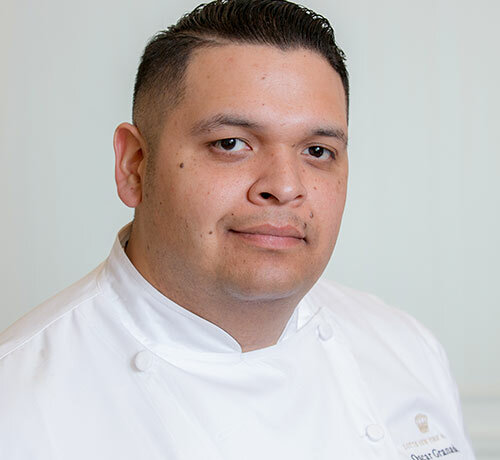 Chef de Cuisine Oscar Granados traces his interest in cooking to a childhood visit to his Uncle Yuri, chef of the famed St. James Hotel in Beverly Hills. A graduate of the Culinary Institute of America, he has refined his craft in some of the world's leading hotels, including the Ritz-Carlton New York, BLT Steak in The Ritz-Carlton San Juan Puerto Rico, and the legendary Tonga Room at The Fairmont San Francisco. As Chef de Cuisine, he draws inspiration from fresh, local ingredients to create dishes reminiscent of classic French cafes and European bistros. As regal today as it was in 1882, the Villard Mansion offers a collection of stunning settings for private events. Gilded walls, works of art, and sparkling chandeliers transport guests to a bygone era of New York City glamour.